Make sure your pet is up-to-date on veterinary treatment, including vaccines. Spayed and neutered pets are generally calmer and are less likely to bite. 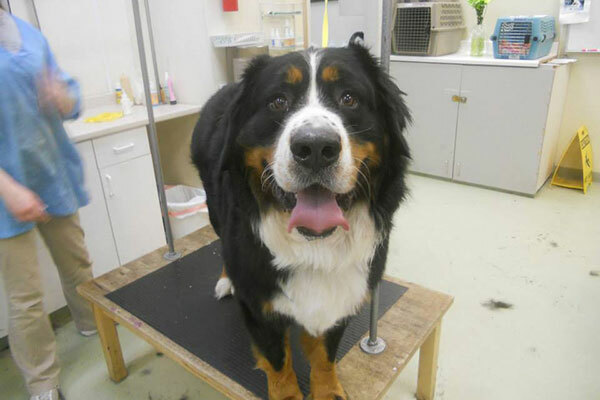 A pet that is particularly nervous or difficult to handle makes the grooming process stressful for both your pet and the groomer. Please bring proof of current Rabies vaccine. 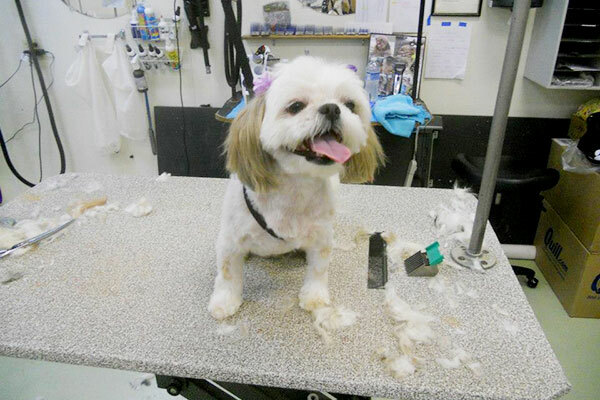 Grooming costs vary depending on your pets breed, coat condition, (behavior) and the level of difficulty of the haircut. 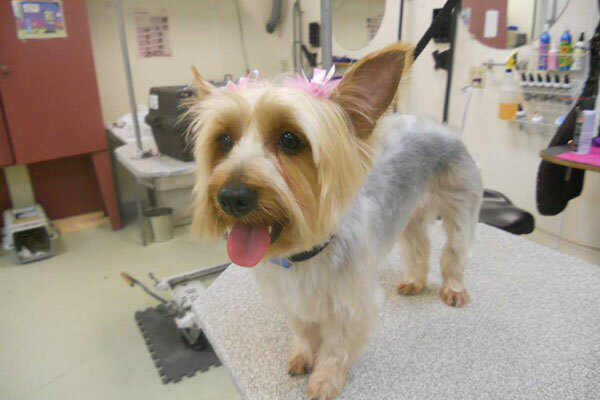 Smaller breeds range from $25-$50 for a full grooming. Larger breeds range from $30-$75. 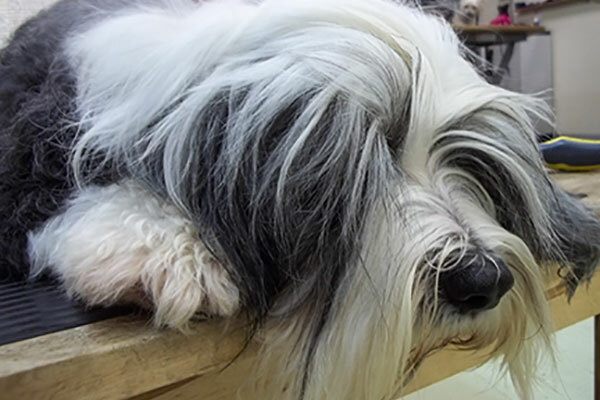 There could be additional charges for poor coat condition (tangles and matting, excessively dirty), behavior that makes the pet difficult to groom and the removal of parasites and insects. All services include plucking ears, if required, cleaning the ears and trimming the nails. Tuesday 12 noon to 8:00 p.m. Wednesday through Saturday 8:00 a.m. to 5:00 p.m. closed Sunday and Monday. 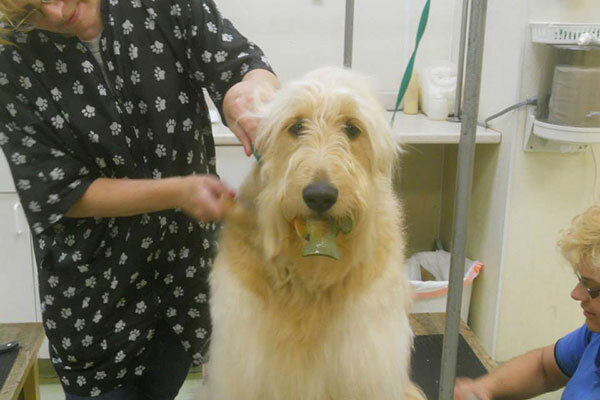 All pets requiring a haircut or a bath and brush that require some trimming will need a scheduled appointment. Most shorthaired breeds such as Jack Russell’s, Labrador Retrievers, Great Danes, etc. Can Take Advantage of Our Quick Bath Service, which can be performed in under an hour. 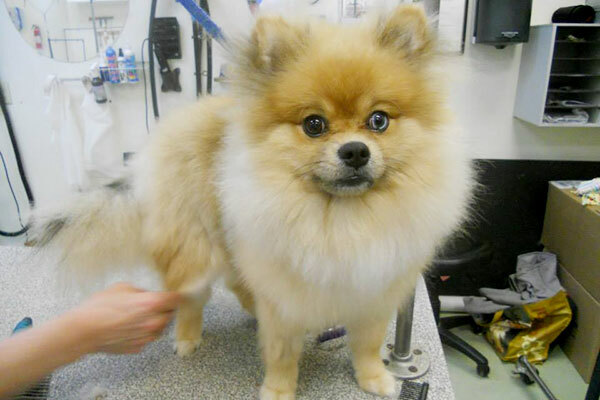 How much time is required to have my dog or cat groomed? Usually your pet will be with us three to four hours. We will call when your pet is done. An Express Service is offered Tuesday through Friday for an additional $10. Can my pets stay all day, if I am required to work? Morning drop-off, late afternoon pickup) Yes. Tuesday through Friday a pet can stay all day. A fee of $10 is required. Do they groom aged or disabled pets? Yes, as long as your veterinarian has not recommended restrictions in this area. Do they offer appointment reminders and maintenance programs? Yes. We offer standing appointments and courtesy call options as part services. Do they tranquilize or sedate pets? Groomers are not licensed to administer tranquilizers; if your pet needs sedation to be groomed, request your veterinarian to dispense a tranquilizer for you to administer before grooming. We groom many cats. Some options are bathing and brushing, shortening the length of the coat or shaving the body for a lion-like appearance.